Printed by Nippan press from Japan in 1992 and is original 1st edition. 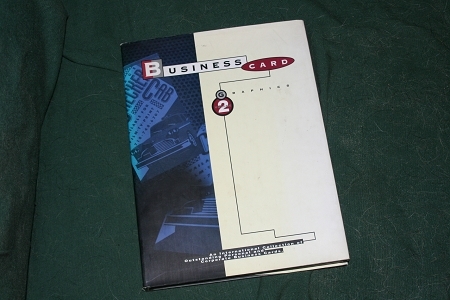 You will find Business Card Graphics 2 to be a unique volume, unlike anything else available. It carries an even wider variety of business cards than did the first issue and is simply a must-have for every serious graphic artist. It is an invaluable reference source for people in business and for graphic designers. International ideas, Japanese and English as well as international languages pictured here. Page after page of design ideas. Designing for shops, restaurants, fashion and cosmetics , specialty food shops and services, home furnishings, lifestyle products and miscellaneous.